Today Vladimir Putin inaugurated the road part of the Crimean bridge. After that, the president congratulated everyone on the opening, thanked the workers and called this day historic. 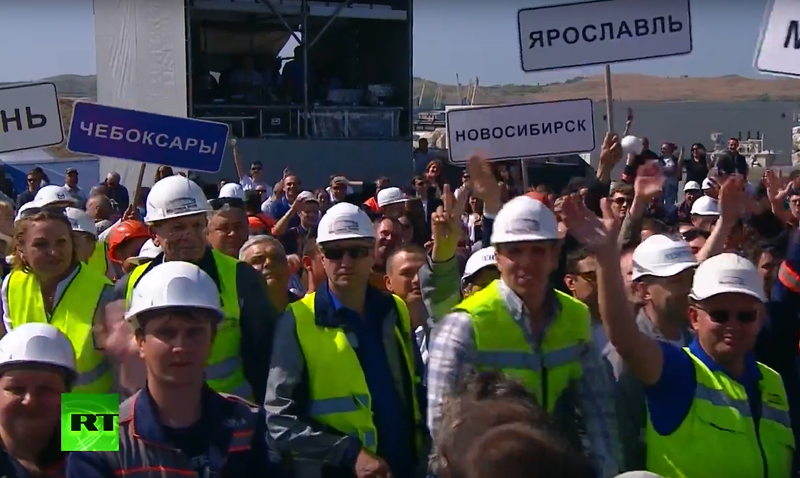 Congratulations and we are all colleagues and employees of Bridge Bureau LLC with the opening of the highway section of the Crimean bridge!